From Alexander McQueen, this linen blazer in black features cream lining, two internal pockets and button cuffs. 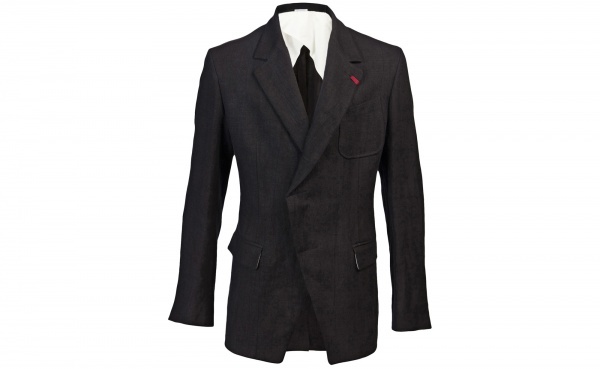 With notched lapels, unique touches include a concealed double front closure and slanted pocket on the left lapel. Combining sharp tailoring with a modern edge, the blazer is available online now.